How to invoke the menu "Run"
Some advanced users operating systems of Windows used to perform basic operations only through the command line. With the help of command prompt that is embedded in the distribution system, it is possible to perform any operation and more information about the hardware installed. The command line can be done in different ways. Since this is a standard utility for any Windows distribution, the executable file of this application can be found in the start menu. Open it and select "All programs." In the list that opens, navigate to the folder "Standard". Hit the label with a picture of the black console window. Also the command line can be run via the applet is Run, which is also in the menu "start". Alternative run application – press the hotkey Win (the button with the image window) + R. In the empty field of the applet, enter cmd, and click OK.
You will see the console. To open the "Manager tasks" enough to enter the command taskmgr and press Enter. You will see the Manager window, with which you can run absolutely any app, if you go to the tab "Applications". But not always the "Manager tasks" can be run this way. When the screen appears a small window saying disabled by the administrator, to whom you are talking about the security of your computer with a virus. Maybe the virus itself is not active anymore and anti-virus system blocked him, but you need the app and not be able to run. You have to edit the registry files. To start the registry editor again to press Win + R and enter regedit. After clicking "OK" you will see the main window of the program. You need to find the folder HKEY_CURRENT_USERSoftwareMicrosoftwindowscurrentversionpoliciessystem DisableTaskMgr parameter and replace its value from "1" to "0". Depending on the version of the operating system such parameter in this folder may not be. So find the folder HKEY_CURRENT_USERSoftwareMicrosoftwindowscurrentversionpolicies and replace the value of the parameter DisableTaskMgr from "1" to "0". The Manager of tasks needed to control the processes that take place in the operating system shell. Programs that is often stuck, you have to close via task Manager. When installed on a computer of poor quality or made by someone operating system there are cases of unresponsiveness not only programs, but most of the graphic shell. This leads to the fact that all worktops, including icons and desktop shortcuts, come to the idle status. It's very frustrating, especially if you want to do some work for a short time. Sometimes it can be caused by viruses. menu "start" - "Run" - enter "taskmgr". When you start task Manager, close the task pane in system tray will appear the loading of your computer. If you minimize the task Manager, then restore Manager window by double clicking on the green icon in the tray. The task Manager has its disadvantages, which he may not start, especially under games. Not always hung processes are discharged via the task Manager. That's why there are programs-analogues. In memory they take up less space and generally work more efficiently. An example of such an analogue may serve as a Process Killer program. It is designed to directly discharge the hung processes, simple to use, intuitive interface. 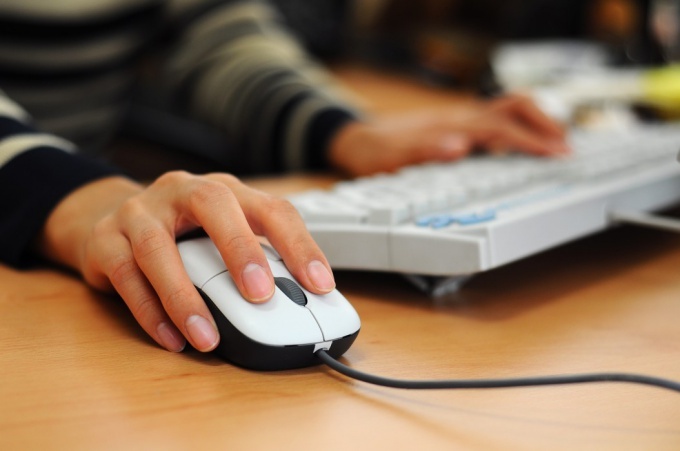 The unloading process happens at the click of a button "Kill", or by double-clicking on a selected process. 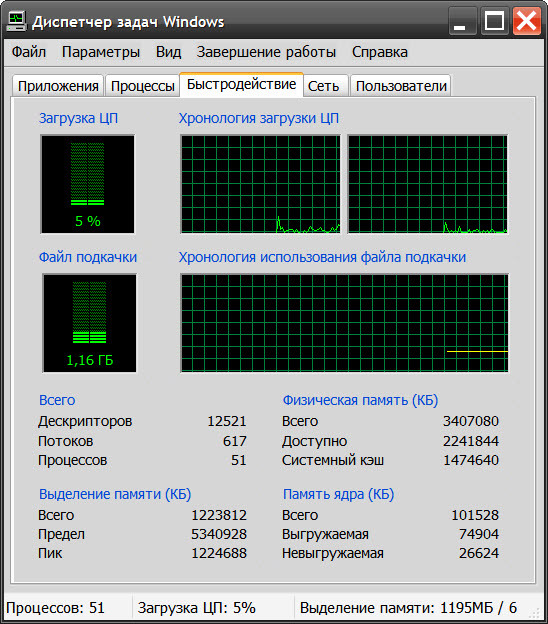 There are times when you run the task Manager appears that the dispatcher is running. This shows that there is on your computer viruses. The virus blocks the startup Manager, because the Manager has the ability to unload from memory the body of the virus. Initially in Windows operating system start programs is under the control of the utilities, called "user account Control" (UAC). But what if the execution of some programs, the start must come with the rights of administrator? There are several simple ways to solve this problem. Run through the shortcut. If the command prompt shortcut displayed on the desktop, press right click on it. In the popup list, select "Run as administrator". If the command prompt shortcut on your desktop there you can find the command line on the path "start" – "All programs" — "Accessories" — "Command prompt". Also click right mouse button and select "Run as administrator". 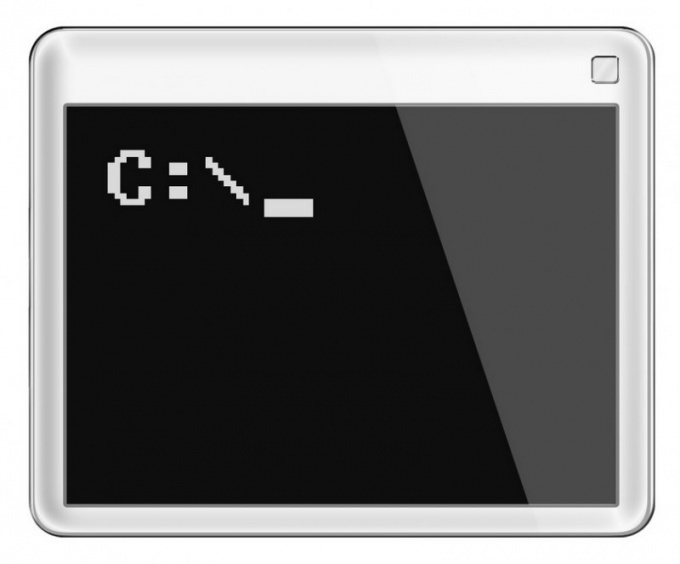 A window will appear in the command line. You can also launch panel "Search". Click start and in the search bar enter the name of the program cmd. Next, press Ctrl+Shift+Enter on the keyboard. Start a command prompt. This operation is identical on almost all Windows operating systems. Change the shortcut properties. Right-click the command prompt shortcut (or menu item "start" in "the Standard") and select "Properties". In the opened window, locate the tab "Shortcut" and click on it. At the bottom of the window, click the Advanced button and put a check mark next to "Run as administrator". Click "OK" and "Apply" to close the window and save the changes. To start the command line (now with rights of the administrator), double click on the shortcut with the left mouse button. After the operation, the command prompt will be launched with the rights of the administrator of the operating system. In the Windows operating system provides a special utility to make the user experience more secure. But there are also opportunities this defense to get around — of course, for advanced users. It is also worth noting that the rights of the administrator to allow a computer to make unlimited number of transactions. If you need to restrict any of the settings for other users of your computer, create a new account. The main purpose of a component of Windows called "Manager tasks" - display lists all currently running applications, processes and services. These lists give the possibility to forcefully close applications and processes. It has the ability to run new applications. In addition, in the Manager of tasks it is possible to see the utilization of CPU, system and power control, reboot, etc. Use a combination of hot keys ctrl + alt + delete to launch the Manager of tasks. The buttons ctrl and alt on a standard keyboard are usually two no matter what combination of these four keys you will use. The same applies to the delete key - you can use and duplicate it, combined with the dot on additional (digital) keyboard, between the keyboard Enter "Zero". If this combination does not work, try ctrl + shift + esc. Click right-click free from icons of the open apps panel space task (that strip along the bottom of the window, which is placed on the "start" button, clock, etc.). This will bring up a context menu that will attend and the item "the Manager of tasks" - select it. Use the standard dialog to start programs as an alternative way to call Manager tasks. To do this, open the main menu on the "start" button and select "Run". If your version of the operating system of this item is not there, then use the keyboard shortcut win + r. In the dialog window, enter the command taskmgr and click OK or press Enter - this will launch the Manager of tasks. Once this component of the OS is open, you can minimize window to panel task. In the notification area ("tray") will remain the icon of loading of the processor of the computer. In order to re-maximize the window Manager, you can double-click this indicator with the left mouse button, and right click opens a contextual menu which includes a command for closing this component of the OS. The application is "Manager task" allows the user to close the programs, monitor their execution, and performance of the computer to assign the priority of running processes. To be able to use the "dispatcher" is very useful, especially in cases where a program is not responding or the computer started the virus. The first method of launchManagerand task"is the easiest. Press Ctrl+Alt+Del and a window will appear in the application. It has several tabs: "Applications", "Processes", "Performance", "Network", "Users". In the tab "Applications" you can always close any running programs, if it is, for example, not responding to user requests. The Processes tab displays all running on a computer in the present processes, they can also be turned off: select the row with the process, click "End process" and "Yes." "Manager tasks" you can open without using the keyboard - press the right mouse button on the panel of tasks (the long horizontal bar at the bottom of screen with start button and quick launch icons. The cursor must be on the empty part of the panel. You will see a context menu panel, where you should select the "Manager tasks". With the defeat of a computer system virus openingManagerand task" is often a problem. Many malicious programs know how to block it from running, so the user could not disable the operation of the virus. In this case, you will see a message that the "Manager tasks" is disabled by the administrator. First, use an antivirus and get rid of the malware. To the "Manager tasks" start again, click on pane task button "start" and then select "Run...". In the box type gpedit.msc and click OK. In the window "Group policy" go to the tab "user Configuration - > Administrative templates - > System - > Capabilities Ctrl+Alt+Del". 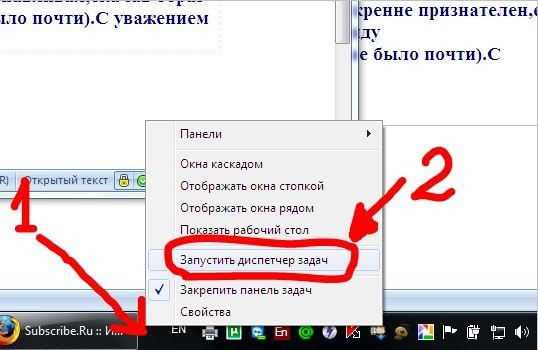 Double click with the left button of row "Delete the Manager of tasks". A window will appear "uninstall task" - select "Disabled" - > Apply -> OK. Close the window "Group policy". Restart the computer, or minimize all Windows. Right click the mouse on the empty space of the Desktop and select "Refresh". Now the "Manager tasks" again will start and run normally. With the help of "the Manager of tasks Windows", the user can obtain information about computer performance, running on currently running programs and processes. To obtain interesting information, you must call the "windowManager". This can be done in several ways. To open the dialog "Manager tasks "Windows, type the Ctrl, Alt and Del. In the opened window you can not only get necessary information but also to ask a series of commands. Navigate to the appropriate tabs to get the necessary information about open programs, running processes, or the performance of your computer. Use the button "End process" on the Processes tab, if necessary, stop the unnecessary applications. With the button "Remove task" on the Applications tab you will be able to close any program window from the displayed in the "Manager" of the list. To go into hibernation or standby, shut down or restart computer, log off or switch user, use the top menu bar, selecting "shutdown". If you are unable to simultaneously press three keys, named the first step, use another way to call Windows "the Manager of tasks Windows." Click the right mouse button on the "Panel tasks". By default, it is located at the bottom of the screen. In the drop-down menu, select "Manager of tasks"by clicking on it with the left mouse button opens a search window. If you do not see the "Panel tasks", click on the keyboard key with the picture of the Windows flag panel displays will become static. To the "Panel tasks" has not disappeared every time using "start menu", go to "control Panel", in the category "appearance and themes" click on the icon to the Panel "task and start menu". In the dialog box, in the tab "Dashboard task" remove the marker from the field "Automatically hide the bar of tasks", click "Apply" and close the window. If the method described in the third step, you also not suitable, open the "Manager" the other way. Through the menu "start" select "Run". In the empty field, enter the taskat the taskmgr without the quotes, spaces or other extra characters. Press the Enter key on the keyboard or click the OK button in the "Startup programs".